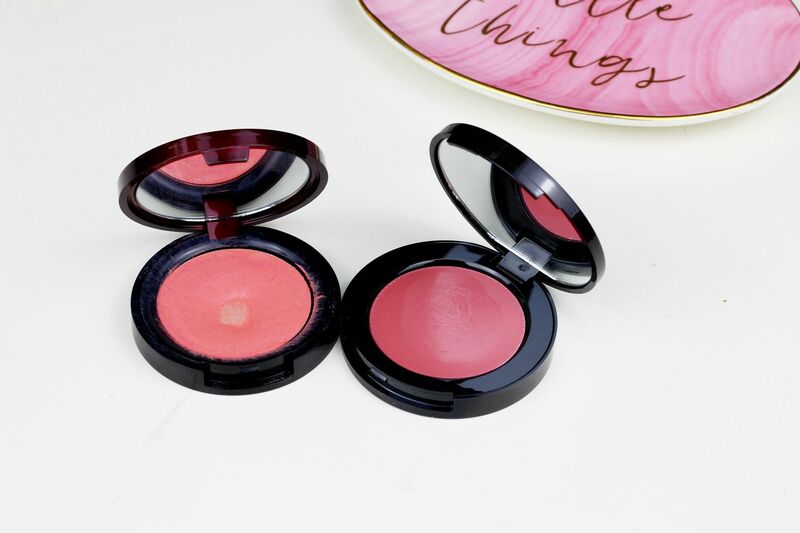 Blusher is without a doubt one of those steps I never miss in my makeup routine; it’s such a quick and easy way to perk up the skin and nothing else quite manages to emulate a glow like a good blusher. Now that the weather is warming up a little bit I’m gravitating again towards cream blushes for their ability to make skin look alive and all dewy. 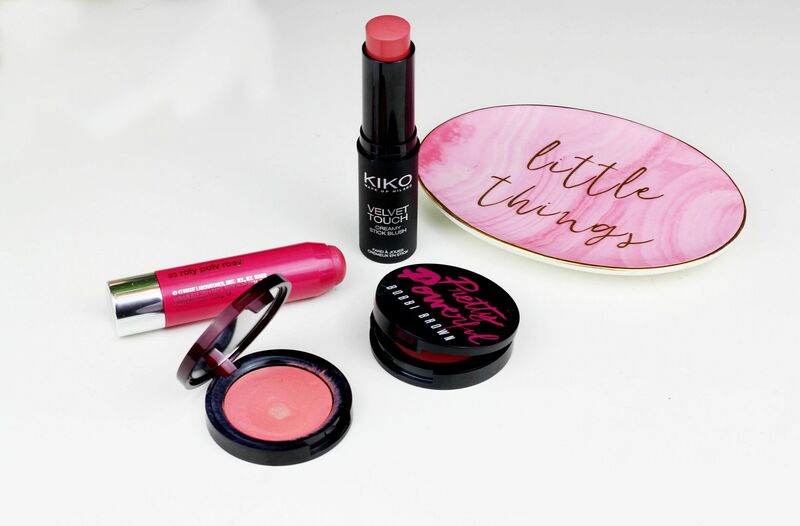 I think cream blush can get a bit of a bad rap sometimes because it’s a little bit more complicated to blend in (rather than sweeping powder across the cheeks) but there are some formulas that are worth the step for a long-lasting glow. First up are two pots of rouge (which have such identical packaging I’m convinced they must be made in the same factory), from two very good makeup brands. The creamy glow from Kevyn Aucoin is an old favourite of mine, and the shade Tansoleil is all kinds of peachy perfection. It’s almost a little greasy in texture so it’s got plenty of slip and it manages to stay sheeny on the skin without slipping around. The Bobbi Brown pretty powerful pot rouge is a new release from the brand – of which, 100% of the RRP goes the charity Smart Works (enabling women who are out of work and low-income to have more opportunities), so it’s a blusher that gives back. The texture on this formula is almost wet feeling but it blends so beautifully that pretty much any shade would nicely illuminate the skin, and this rose one would flatter a wide variety of skin tones. 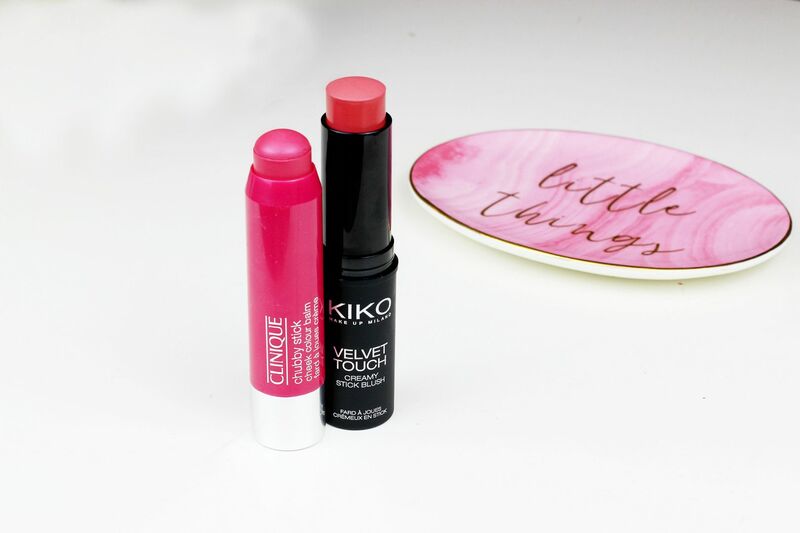 Pretty much the only drugstore cream blush with a formula I like is from Kiko; their velvet touch creamy stick blush has a gorgeous formula that doesn’t turn powdery once on the skin. It dries down a little bit, but it doesn’t look cakey which so many other formulas seem to do! Having creamy blush in stick form makes it so ridiculously easy because you can just dab it on and blend with fingers in a few seconds. I have the shade 06/Geranium, which is a nice pinky hue + I’ll definitely be checking out more shades. The other ‘stick’ blusher is the clinique chubby stick cheek colour balm, which is a bit glossier than the kiko in texture and so would be more flattering on drier skin types I feel. As it’s that bit more glossy it also layers beautifully over existing blush for later in the day when you need a touch up. I have the shade roly poly rosy (how cute! ), which is just perfect with one of my favourite pink lipsticks. What’s your favourite cream blush?